1. Name a TV show you can, and do, quote from: FRIENDS...How you doin'? 2. Name a TV show you like that no one else enjoys: I loved a show on E! 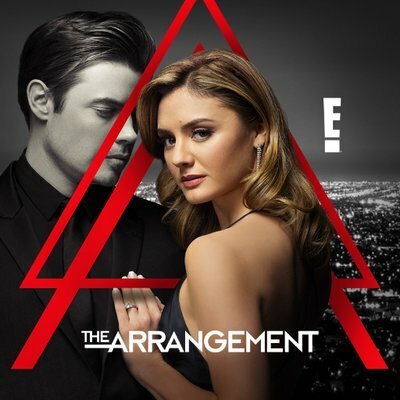 called The Arrangement, but I guess no one watched it...it got cancelled. 3. Name a TV show which you've been known to sing the theme song: FRIENDS...I cannot think of anything current I sing. Ya know, I think we fast forward through that part...bad part about DVR'ing things. 4. Name a TV show you would recommend everyone to watch: current shows: Victoria on PBS and New Amsterdam on NBC...oh and if you haven't seen it...The Marvelous Mrs. Maisel on Amazon Prime. Click the Tuesday 4 Logo above and play along with us! #4... I watch all three of those!! Great TV. I don't watch any of those programs. I don't like watching TV alone. something about it bothers me. I might try Blue Bloods though.. not sure and I do want to see Riverdale when it comes back on. I too have never watched those three shows on Prime. I guess I'm so into murder mysteries and cop shows. LOL! Enjoyed your answers Lori. Have a blessed day ahead my friend. I too, fast forward thanks to the DVR. I have never heard of The Arrangement. I will have to check out The marvelous Mrs. Maisel. Have a great Tuesday! I've heard great things about Victoria. My younger son and wife watch it all the time. Enjoyed your answers. Yes, we do miss out a bit come to think of it when we dvr, but love missing those ads! !THanks for the fun visit... have a great week! !